Sharjah Airport is the third major Middle East airport in capacity, as specified by authority perceptions from Airports Council International. Our employee assortment of over 40 nationalities is our strength as an organization. Working as a team, we are committed to associate, pleasing and helping you in your progression within our business. Sharjah Airport is the third largest Middle East airfreight hub in cargo tonnage and it is the home base of low-cost carrier Air Arabia. The Airport is both a quick and convenient access to Middle East and a group of high value businesses involved in aviation and technology. 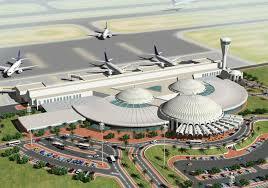 Sharjah International Airport located 7 nautical miles east south east of Sharjah, United Arab Emirates. It is spread over an area of 15,200,000 m2 (3,800 acres). Our employment approach is to ensure that we succeed together. We are passionate about delivering a smooth round the progression with an astonishing attitude to customer service. Our customers are welcomed and served by people with passion, commitment and interest for quality. Our employees take great pride in delivering a unique service personalized to each individual customer, using each occasion to ensure that our clients leave with a lasting memory of a eccentric visit.